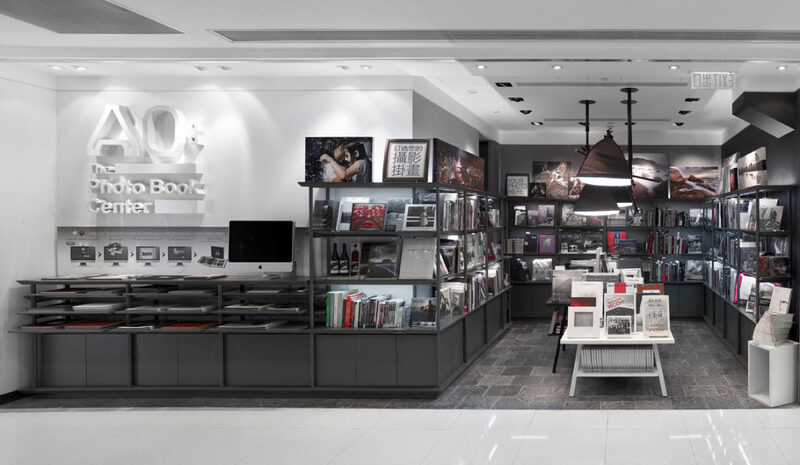 A0: The Photobook Centre, this specialty store in Hong Kong’s IFC mall retails Photobooks and exclusive photography accessories and camera’s. Customers can also create and order custom books and canvasses using their own photography. 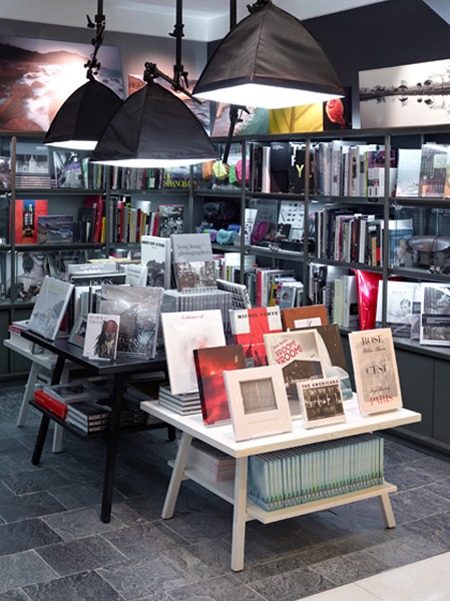 The approach to the design was two-fold: clarifying the offer and product mix through visual merchandising and creating an inspiring artist studio/library environment. The materials mimic the finish of black & white photography & silver gelatin prints. Softbox studio lights are used as a light feature over the center tables.